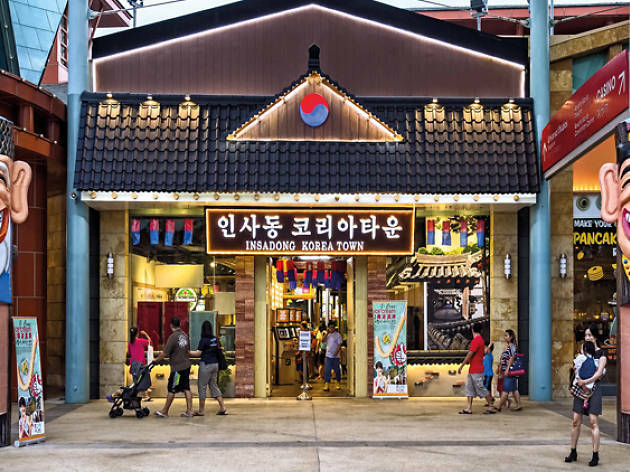 This sprawling Resorts World Sentosa 'Korea Town' is more food court than a thoroughfare of restaurant concepts. But still, you probably won't find this many Korean dishes in one spot anywhere else in town – over 200 at last count. 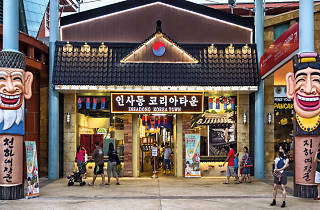 The ingredients used at the stalls here are said to be flown in direct from the mothership, and dishes cover the gamut of Korean-Chinese, Korean-Western, Korean-Japanese, and err, Korean-Korean – traditional ginseng chicken soups ($29), and the like.